Topic: 2019 BOTM Calendar - Sold out! Due to tremendous interest, the calendars sold out in two days! Let me know if you really want one, reorders may be possible. 2019 Calendars featuring  BOTM winners available now! $15 shipped to U.S., PM for my Paypal address. Re: 2018 SOHC Bike Calendar?? I just received the calenders and I think they turned out real nice. Price is $15 shipped to your door, PM me if you are interested. I can attest to the excellent quality of these. Too bad you guys missed out! Thanks to Steve-O for doing this. Maybe they could go into printing again with enough advance orders? Thanks for doing this Stev-o, too bad I spaced it and missed out. Sorry Greg, I sent you a Pm. If you really really want one, PM me. Stev-o, the calendar arrived today. Very nice work. Thanks again for making it happen. Just a note to say I would want to buy 3 2019 calendars. Just let me know how much. 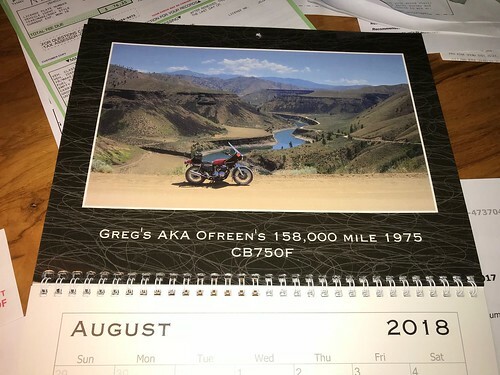 Re: 2019 BOTM Bike Calendar - Coming soon! Ill take one as well please! 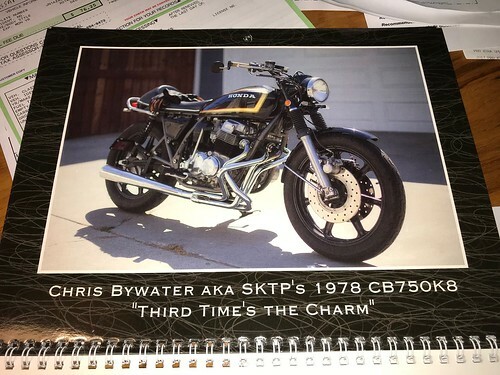 Re: 2019 BOTM Bike Calendar - Here Now!! Re: 2019 BOTM Calendar - Sold out! perhaps a limit of one per person, you know, so they don't sell out in two days. it would have been nice to have a chance to buy one... just one. If I put a limit then the members are not getting the quantity they want and I run the risk of having a number of leftover calendars that I have already paid for. Prefer not to do that. I can easily order more, the issue with that is the shipping cost is higher.